Mr. Michael Patrick Foley was appointed as Chief Executive Officer (CEO) effective from 26 May 2017. Before joining Grameenphone he was CEO of Telenor Bulgaria. A Canadian by birth, he joined Telenor in 2014 as CEO of Telenor Pakistan. 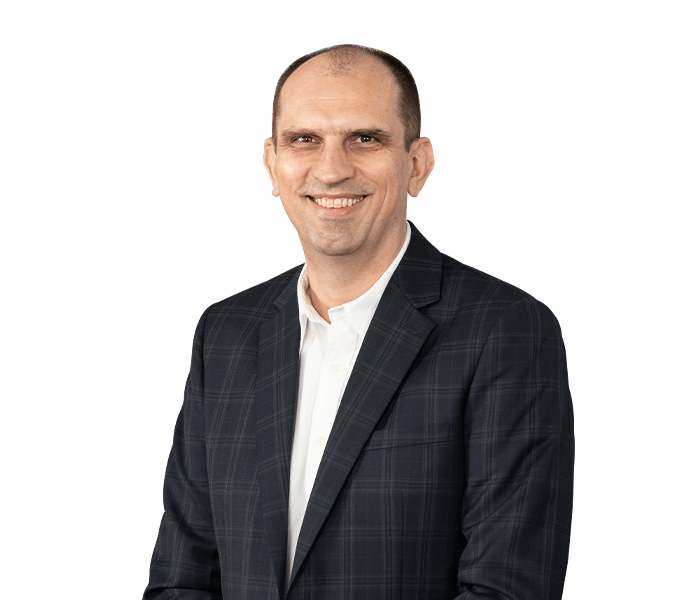 He has more than 30 years of sales, marketing and operational experience in the telecom, retail and gaming sectors from both advanced and growth markets. He is a Graduate of McGill University in Montreal with BA in Organisational Psychology. Mr. Yasir Azman was appointed as Deputy Chief Executive Officer (DCEO) effective from 26 May 2017. He also serves as Chief Marketing Officer (CMO) from 15 June 2015. Mr. Azman is an experienced professional with vast international experience in multiple countries and cultures. 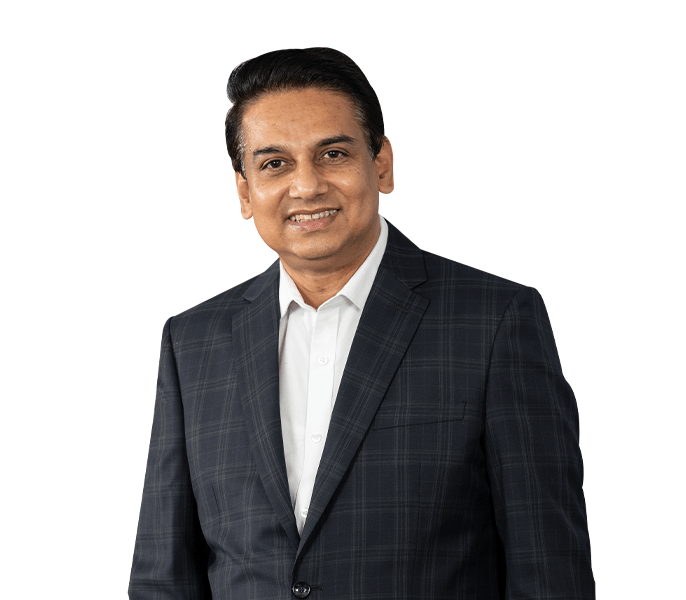 Before joining as CMO Grameenphone, Mr. Azman served as Telenor Group’s Head of Distribution & eBusiness and worked across all Telenor Operations. He has also worked in Telenor India operations as EVP & Circle Business Head for Orisssa and Karnataka circles during 2010-2012. In his previous tenure in Grameenphone, Mr. Azman played a leading role to set up Grameenphone sales and distribution organisation and to transform Grameenphone distribution structure. Throughout his career, Mr. Azman has a proven track record as a leader of transformation, change management and business development. He has an MBA from Institute of Business Administration, Dhaka University, and also attended several executive educational programs in the London Business School and INSEAD France. Mr. Karl Erik Broten was appointed as Chief Financial Officer (CFO) effective from 01 September 2017. Prior to joining Grameenphone he has been serving as CFO of Telenor’s Malaysian operation Digi Telecommunication since May 2013. Earlier, he was CFO at Telenor Pakistan and Telenor Hungary (formerly, Pannon GSM). With over 20 years of experience in Telenor Group he has also held leadership positions in Telenor Norway, Telenor Business Solutions and in Telenor-owned operations in Russia, among others. Karl holds a Degree in Business Administration based on a four year program (Siviløkonom), major area of study in International Management from Agder University College, Norway. Mr. Rade Kovacevic was appointed as Chief Technology Officer (CTO) effective from 30 January 2018. Earlier, he was serving as the Interim CTO in Grameenphone from 18 June 2017. Prior to joining Grameenphone, Mr. Rade was working as Head of IT Asia (acting), Technology & Services of Telenor Group. Prior to that, he also worked as Head of Sourcing at Telenor India. He has over 17 years of experience in telecom industry working in different senior positions. Mr. Rade has an MSc in Electronics and Computer Science from University of Montenegro. Mr. Mahmud Hossain was appointed Chief Business Officer effective from 24th October 2018. He previously served Grameenphone as Chief Corporate Affairs Officer (CCAO) from 08 March 2010. He started his career in 1990 when he joined the technical team of the erstwhile Hutchison BD Telecom Ltd. He worked for Grameenphone, at his first spell with the Company, as Additional General Manager at Technology Operations during 2000-2001. In his credibly long career, he also worked for few other telecom operators before rejoining Grameenphone in August 2009. Mahmud Hossain obtained his B.Sc. in Electrical & Electronic Engineering from Bangladesh University of Engineering and Technology (BUET). He obtained his MBA from the Institute of Business Administration (IBA), Bangladesh. He also holds a Master’s (Telecom) degree from Concordia University, Canada. Mr. Kazi Mahboob Hassan was appointed as Chief Strategy and Transformation Officer effective from 01 April 2018. Previously he had been serving as Head of Transformation for the company since February 2016. Prior to Grameenphone, he was a Senior Management Consultant at Deloitte UK responsible for leading business transformation programs for clients across a variety of sectors including Telecom, Oil & Gas, Consumer Business and Financial Services. Prior to Deloitte, he held senior positions in Finance and Marketing with IBM UK and BAT Bangladesh. He is an MBA degree from University of Oxford, a Fellow Chartered Certified Accountant (FCCA) with professional accountancy body ACCA, UK and a BBA from University of Dhaka (IBA)..
Mr. Syed Tanvir Husain was appointed as Chief Human Resources Officer effective from 12 June 2018. His journey with Grameenphone started as the Head of Leadership in mid-2013. He later went on to lead the Center of Expertise and then Shared Services organizations within People & Organization Division. A pioneer in the Digitalization of HR, he is notable for building stronger stakeholder relationships and driving agility across the organization. Prior to Grameenphone he held roles of the Head of HR in Citibank N.A, and the CHRO in Airtel Bangladesh, where he led the acquisition and merger with regard to employees with Warid Telecom. He has also worked in the USA for KBR and Aramark. An MBA graduate from IBA, University of Dhaka, Mr. Tanvir began his career as a management trainee in BAT Bangladesh , where he created his legacy by initiating the gender diversity drive, strengthening talent pipeline and by signing two Long Term Agreements with the CBA in his 7.5 years tenure. Mr. Ole Bjorn Sjulstad was appointed as Chief Corporate Affairs Officer (CCAO) effective from 02 December 2018. He joined Telenor Asia Pte Ltd. Singapore, as Vice President in 2000 and served as its Managing Director from 2002 till 2004. After, relocation to Norway he served as Senior Vice President of Telenor, Asia region, until April 2007. In 2007, he joined the Telenor CEE regional unit. He led the representative office in Moscow for six years, followed by a two-year posting as Chief Corporate Development Officer in Telenor Hungary. Before Joining Grameenphone he was CEO of Telenor Bulgaria. In his more than 18 years of experience with Telenor Group he has served as a member in the Board of Directors in Grameenphone (Bangladesh), Digi (Malaysia), UCOM (Thailand), Telenor Bulgaria (Bulgaria) and Vimpelcom (now VEON). Prior to joining Telenor Group, Mr. Sjulstad held various leadership and project management positions within the Information and Telecommunications sector, as well as Subsea Engineering & Production business relating to the oil and gas industry. He has earned his Business Administration and Mechanical Engineering degree from Kongsberg Ingeniorhogskole, Norway in 1983. In addition, he has completed the Executive Development Program at IMD, Switzerland, in 2008.